Lift Tables Or Manual Force? In this article we look at the benefits of introducing lift tables as part of your handling equipment range to help with the effectiveness of your workplace. For the majority of human existence, manual labour was considered the best tool available in the struggle to expand, industrialise and most importantly to gain profit. Regardless of location, ranging from factories and warehouses to the construction of architectural wonders such as the Great Pyramids or the Coliseum, it could be argued that the single most significant contributor has been the blood, sweat and tears of the individual manual labourer. This trend however has been changing over the last century as the introduction of handling equipment and technological advances have surpassed the monopoly once held by manual labour. The introduction of handling equipment to environments such as the factory floor has enabled workforces to labour more efficiently and effectively. Also the new handling equipment provided a degree of safety which previously hadn’t been present. 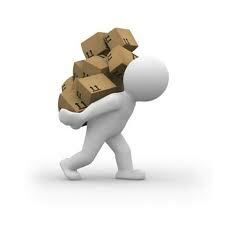 Handling equipment when used correctly and in a suitable setting can far surpass the equivalent human output. The main advantage of utilising handling equipment is that the impact and effects on your workforce are measurable. The introduction of the lift tables into warehouse and factory settings is just one example of the many ways in which the unison of man and handling equipment has revolutionised these workplaces. Lift tables are commonly used to raise and lower weighted equipment or goods. Typically the lift in these tables is provided by a scissor unit, which is able to lift large or heavy loads over a set distance. Due to the widespread popularity of lift tables a number of variations and alternative formats have become available. This enables individuals to select a specific modification which uniquely serves their requirements. Another reason why lift tables have become so popular is because they are a highly adaptable piece of equipment able to perform multiple functions. Lift tables are commonly used in the following areas: to provide ergonomic handling, to provide assistance in loading and docking of goods and also for machinery and pallet handling, where they are used differently to traditional pallet trucks. 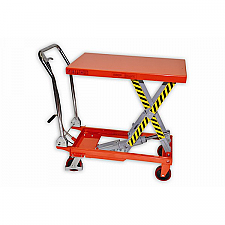 Hydraulic variations of lift tables are also available which provide an excellent addition to any industrial workforce, enabling them to work much quicker, but also providing high levels of safety. Using lift tables to perform manual and repetitive work is an excellent way to conserve the health of your workforce. These tasks can over time result in back strains and serious back related health problems. By utilising equipment that reduces the occurrence of work related accidents in your workforce, you will also make your workforce more effective by in turn reducing the number of sick days and also keeping your overall sick costs to a minimal. This entry was posted in Handling Equipment and tagged lift tables on July 2, 2013 by admin.